Experience afresh the miraculous power and manifestations of the Holy Spirit. No other book has been more instrumental in helping countless individuals understand and live the Spirit-filled life than The Holy Spirit and You. Let Dennis and Rita Bennett guide you in your study of God's supernatural gifts, and let the Holy Spirit bring renewal and deep restoration to your life. 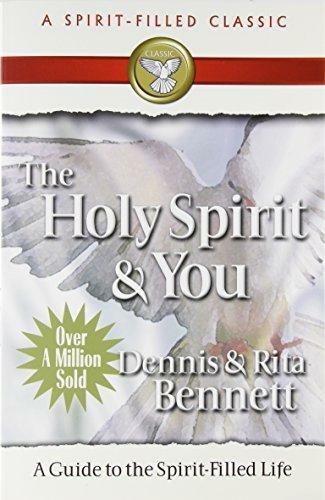 Holy Spirit And You by Rita Bennett was published by Bridge Publishing in December 1994 and is our 5257th best seller. The ISBN for Holy Spirit And You is 9780882706238. Be the first to review Holy Spirit And You! Got a question? No problem! Just click here to ask us about Holy Spirit And You.